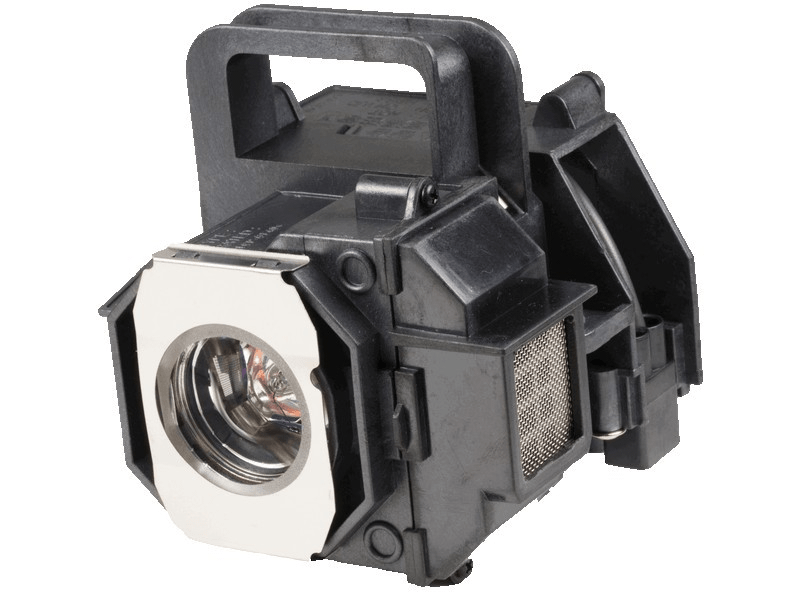 The Epson Powerlite Pro Cinema 9350 projector lamp replacement comes with a genuine Osram 200 watt replacement bulb with a rated brightness (lumen rating) of 2,000 lumens. The Powerlite Pro Cinema 9350 lamp has a rated life of 4,000 hours and is guaranteed to perform the same as the original Epson lamp. Our Epson replacement lamps come with a high quality Osram bulb with main components made in Germany. Beware of cheaper lamps made with generic bulbs that have lower quality and lower light output. Powerlite Pro Cinema 9350 Epson Projector Lamp Replacement. Projector Lamp Assembly with High Quality Genuine Original Osram P-VIP Bulb inside. The website was easy to use and the lamp works perfectly! This lamp came a day earlier than we expected it. We have bought our Epson lamps from several different places but were most pleased with our purchase from Pureland Supply. The bulb is an Osram bulb which is very important and not a generic no name lamp made somewhere in China that explodes within a week. We also like the overall construction of the lamp, you can tell when installing it how the connector secures to the outlet int he projector. Very pleased and will continue coming here for our future lamp needs.